Republican congressman Devin Nunes — of oversold-Nunes-memo fame — has his very own alternative news site, Politico noticed on Sunday. “The California Republican” is down at the moment, allegedly thanks to “heavy traffic and an attack on our servers,” but you can still access it via the Wayback Machine. The House Intelligence Committee Chairman called the site his “online magazine” on Sunday, but if you’re hoping to find hot takes from Nunes like “Goodbye to All That: Why I Un-recused Myself From the Russian Investigation,” you’ll be disappointed. 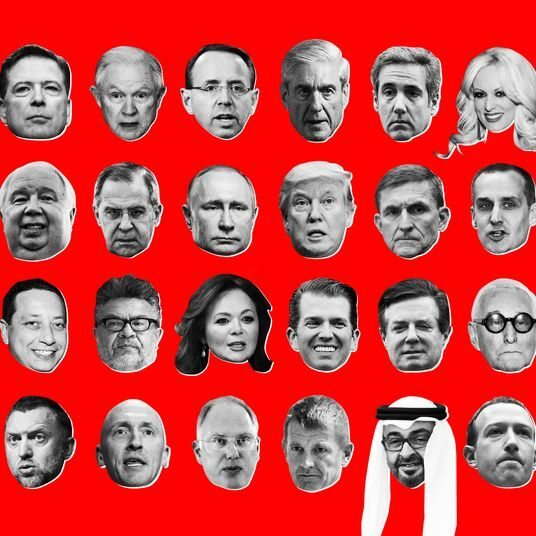 The site is better described as a conservative content farm, as it only publishes heavily aggregated news and commentary from other publications, with the resulting posts occasionally used as fodder for shares on Nunes’s mailed-in Facebook page. But while Politico’s David Siders frames the site as offering Nunes “a way around the often unflattering coverage of his role in the Trump-Russia investigation,” it’s not at all clear that anyone, including Nunes, has cared enough about the site for that to be true. 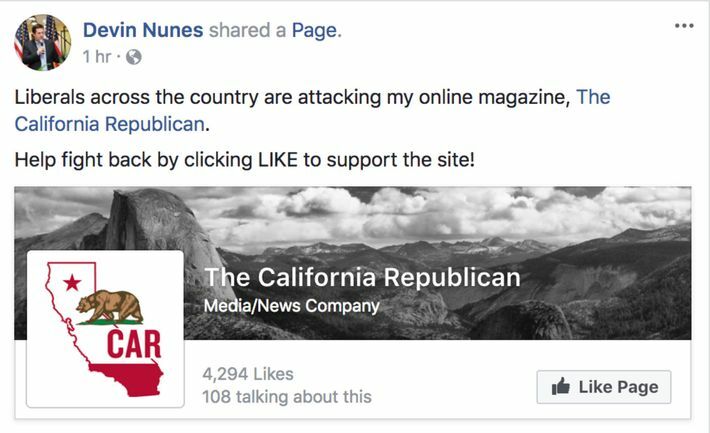 Even with Nunes’s Facebook page promoting it, the site had less than 4,000 Facebook followers or likes as of Saturday, and it appears to have garnered no attention at all on Twitter. If Nunes has a national base, this site clearly hasn’t reached them. Furthermore, Nunes’s “online magazine” didn’t do much of anything to take advantage of his moment in the misleading-memo-sun a week ago, or offer any real insight from the congressman or his inner circle when it mattered most. The last post on the site, January 30’s “Understanding the process behind #ReleaseTheMemo,” is not some inside look at the rationale behind Nunes efforts to reveal shocking anti-Trump conspiracies, but three aggregated excerpts from a National Review column by Andrew C. McCarthy. 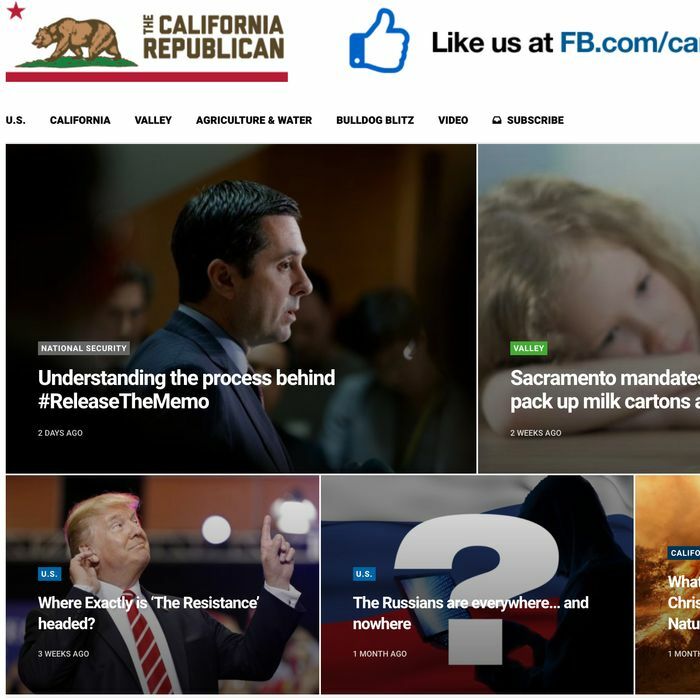 Nunes and his campaign may have intended big things for carepublican.com, but the result so far is as transparently inadequate as Nunes’s efforts to defend President Trump.